This is a book for those who want more: those who go against the grain of �accepted� history, who dare to doubt the truth of the truth makers. For hundreds of years, human lore�s legacy has been passed down without question. But there are missing connections, giant question marks, and links that cannot be ignored. What if Columbus didn�t discover America? What if Egyptians visited the Grand Canyon? What if Jesus and Horus were one and the same? What if history was much more colorful than the accepted black and white? There are those who would shun such questions or choose to be colorblind in a potentially more colorful world. But for those in search of missing connections, we offer this collection of 33 essays by the most educated critical thinkers of our time. Missing Connections promotes awareness of the many hues that fill the world, some of which may be hard to see unless they are properly pointed out. 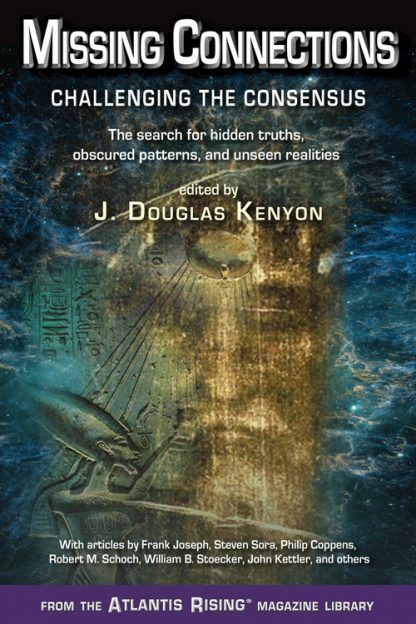 Editor J. Douglas Kenyon has culled from the pages of Atlantis Rising� magazine this compilation of concise and well-illustrated articles by world-class researchers and theoreticians like Frank Joseph, Steven Sora, Philip Coppens, Robert M. Schoch, William Stoecker, John Kettler, and many others, who offer thought-provoking insights into a world that is much more colorful than we ever imagined.